The NAC 52/82/102 preamps and Nait3 have one plug-in section available, typically used for the phono input. We offer the superb-sounding MM (Moving Magnet) Z155 Plug-In boards, which bring out the absolute best for your LPs in these preamps. 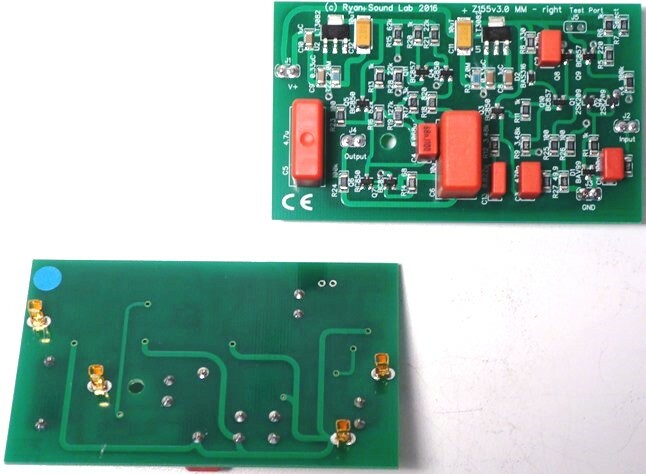 Only 2 pair of these boards are still available due to the obsolescence of the special vertical connectors. Easy plug-in installation with no soldering or modifications to your preamp. Your satisfaction guaranteed or your money back.